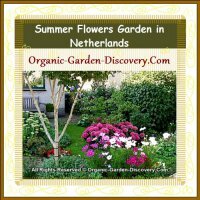 This Organic Flowers practical planting book is written with our personal gardening experience; and it is for your easy reference. I started growing more flowers is because of my mum-in-law. She loves fresh cut flowers. She bought often beautiful fresh flowers from those florists every week. These days due to her budget, she found difficulties to continue her flowers dream. I thought, if I could grow all cut flowers, then I could help her. 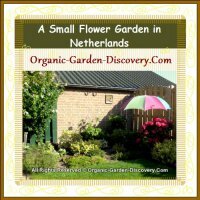 So, I have been growing many different types of flowers and Dutch flower bulbs in the Spring, Summer, Autumn, and Winter seasons every year. Generally, grow flowers naturally is not difficult. It is just the time, some good ground and a little attention. I love to see especially the complete growing cycle of the plants. We have two small and simple front yard and back yard gardens. I have been selecting those charming cut flowers that, can last long in the vase; stay long in the flower garden; and also stand strong in my dry flower bouquet arrangements. In this way, my mum-in-law will be able to enjoy free and endless supply of natural flowers from our small gardens. Besides growing flowers in the outdoors open ground garden, I grow them also in our free flow fresh air green house. Because those are flowers which required intensive gardening care. I love growing indoor house plants in containers too. Orchids, Amaryllis and Roses are some of my favourites. Most of my outdoor plants are also for indoor; especially important for our cold and wet days. 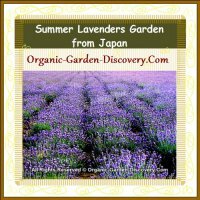 You will discover some of the fragrant herb plants like Lavender, Thyme, Mint, Parsley, and Sage are pretty happy to be the companions for the border flowers. I believed the flowers needed us to help them to show off their charms. So, I will show you all the natural beauties here. 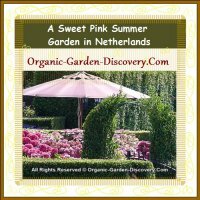 A garden with soft purple green flowers theme; or a bright orange with lemon green theme; or a edible flowers garden with the fragrant Lavenders; or a low growing Garden Nasturtium carpet are all lovely ideas. I am sure soon you will discover more flexible ways to demonstrate your front and back flowers landscapes; and you will find more spray free flowering tips; for your lively flowers plants. * Your desired garden flowers plans, ideas and more.